How do you guys define bullet failure?? If the critter was shot properly (define "properly"), but lived or died slowly. Edit: "Bullet failure" can sometimes be confused with "user error". As in using an expanding bullet but expecting hard cast results, or vise versa. In my opinion, a bullet can be terminal in effect and still fail. Examples of bullet failure are expandables that don?t open, or cup and core bullets that experience core separation. 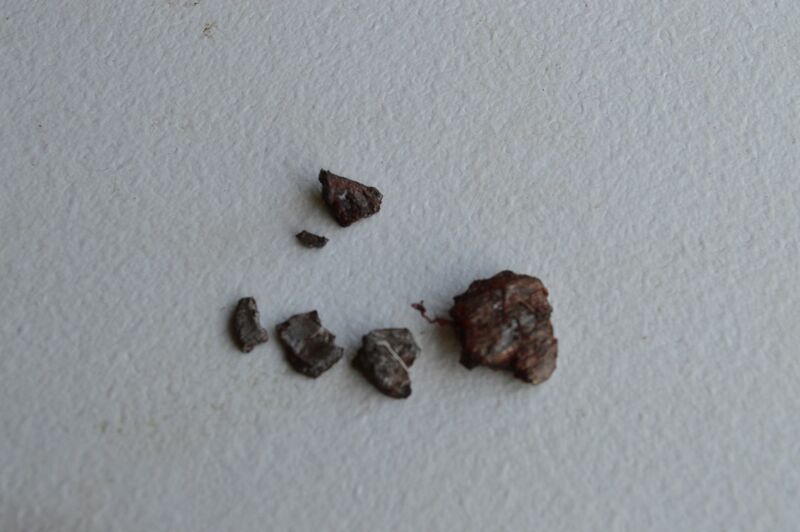 Cast bullets that have their noses wiped off or that fragment are also failures. Bullets that vear off course or tumble have also failed. Just because it kills the animal doesn?t mean it didn?t fail as designed to perform. Mainly due to military FMJ use, some rounds are designed to tumble, so that may not be technically a failure, if that's the design. So, I'd say it fails if it does not perform as designed. That's pretty much along the lines of Whit's above post. The confusing part is that a bullet failure can result in an ideal game kill. Sometimes an autopsy is required. It has been an issue for a long time. 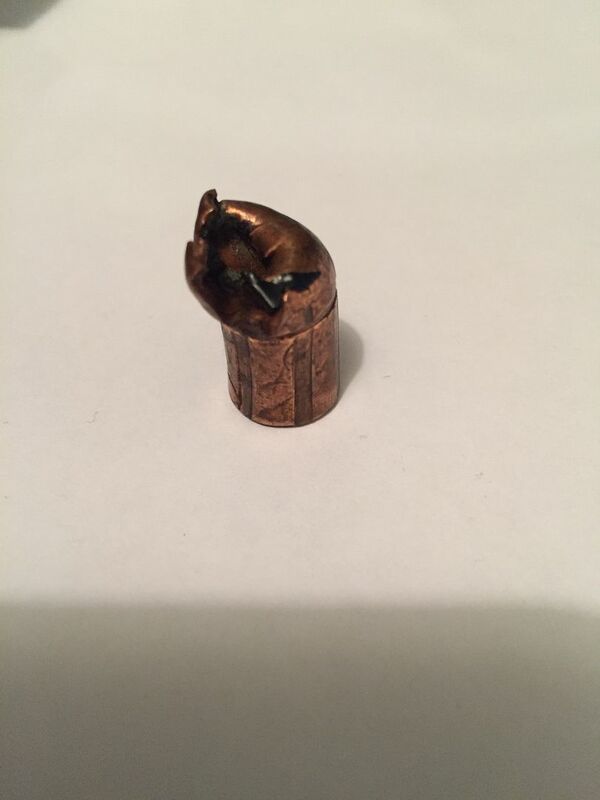 Al Georg placed a brass screw in the nose of a hollow point bullet and killed a bear with it. Later, folks milled slugs from architectural bronze, and other metal, to increase performance. It is a fascinating subject. I'd say it fails if it does not perform as designed. To which I?ll add: Or does not produce the intended result. Reason I add this is because I often use bullets for that which they were not designed. And get the precise results I want. Which means there was no failure in my book. For example, I use Hornady A-Max and ELD-Match bullets almost exclusively for bottleneck cartridge hunting bullets and get exceptional terminal performance from them. A purpose for which they were not designed. They often over expand or separate, but produce adequate penetration and better terminal performance than many ?hunting bullets? I?ve tried. So, for my purpose, they did not fail. Another example, is that I often push Hornady XTP bullets WAY above their velocity threshold and get over expansion and separation. With excellent terminal performance. They did not fail to give me the results I wanted even knowing I was pushing them beyond their design limitations. So, there are manufacturers standards and the end users. Failure can be subjective sometimes. A bit like obscenity I think. Ya know it when ya see it. The flippant response is "One that doesn't go where I want it to go" while the personal response is "One that leaves lead particles in the food I feed my family"
Yes to this, but what may be good performance on smaller game i might not use on a moose or elk and/or dangerous animals. One thing i consider abject failure is when two identical bullets from the same manufacturer is shot into the same animal and one seperates and fails and the 2nd fails to expand at all. This i find troubling. Are you talking about a particular red stag that weighed in around 350-lbs give or take? 300 grain Mag XTP from a .45 Colt? ?